It is evening in front of the Presidential Palace in Santiago, Chile as teams open the first clue of the 6th Leg. 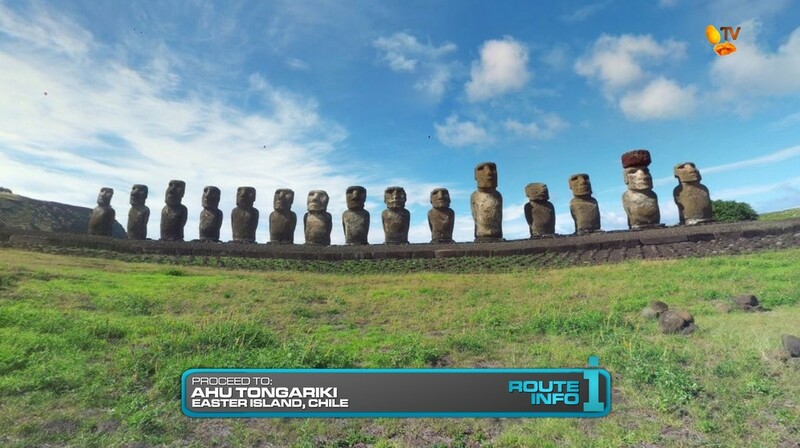 And this 6th Leg will take place on the famous Easter Island! 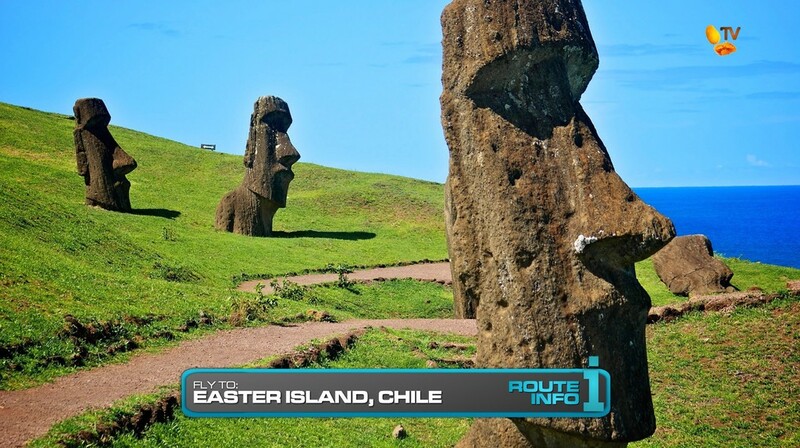 Teams will all be flying on the same LAN Airlines flight from Santiago arriving on Easter Island at 11:35am. 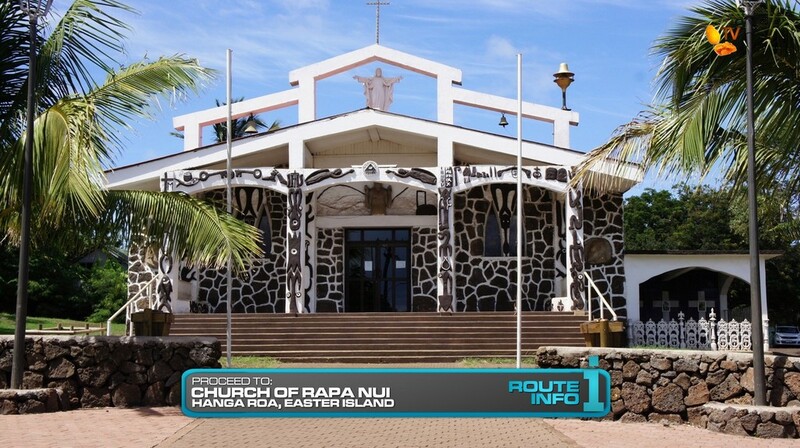 Once on Easter Island, teams will choose a Kia-sponsored 4×4 and drive themselves to the Church of Rapa Nui in Hanga Roa to find the cluebox. That clue reveals the Detour for this Leg: Food Preparation or Dance Concentration. 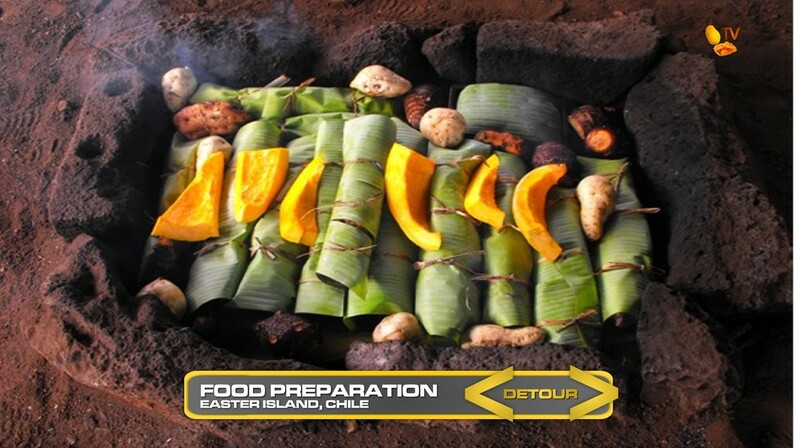 In Food Preparation, teams will prepare an earth oven, known as an umu, and prepare the ingredients needed to make the traditional dish Umu Rapa Nui, or Easter Island Curanto. After correctly preparing and placing all the ingredients into the umu, teams will receive their next clue. In Dance Concentration, teams will dress up in traditional clothing of the Rapa Nui people to learn and perform a traditional Rapa Nui dance. Once they get the thumbs up from the lead dancer, they will receive their next clue. But uh oh! It’s another Double U-Turn! Teams must check-in at the U-Turn board before grabbing their next clue. Teams must drive themselves to the volcanic crater known as Rano Raraku. 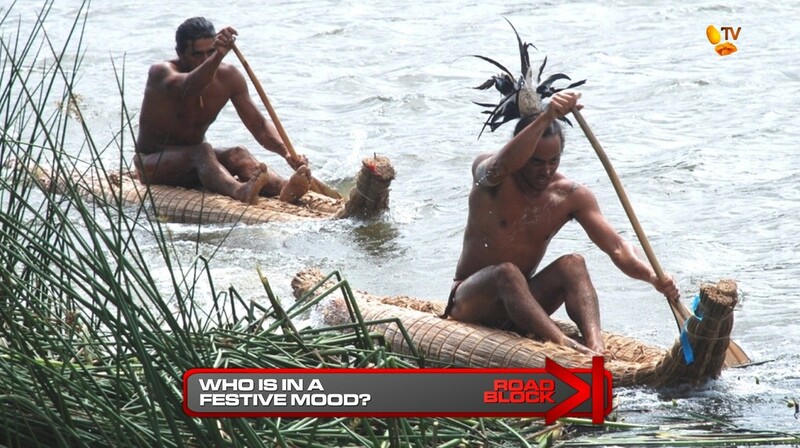 And here, they will find the Road Block, Who is in a festive mood? 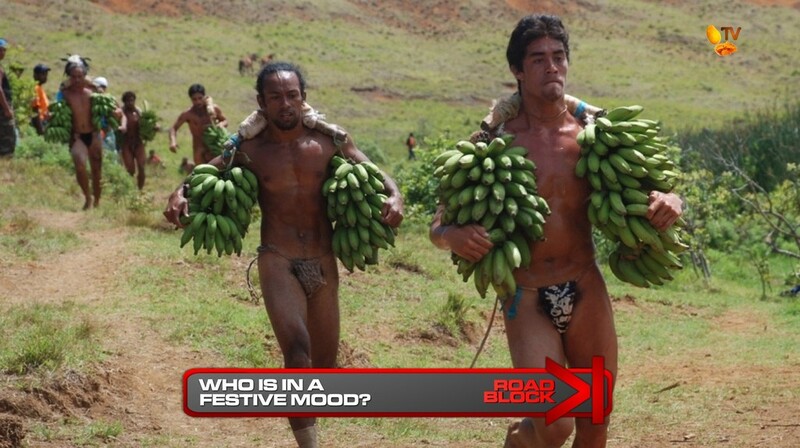 For this Road Block, teams will take part in some of the events which take place at the annual Tapati Festival. After dressing up as the competitors usually do, teams will first row themselves on a reed boat around a buoy in the water. Then, teams will pick up two banana clusters and run one lap around the nearby lake. Finally, teams will hop on a plantain trunk and slide down a short hill where they must cross the line without falling off. Once they’ve completed all three events, they will receive their next clue. 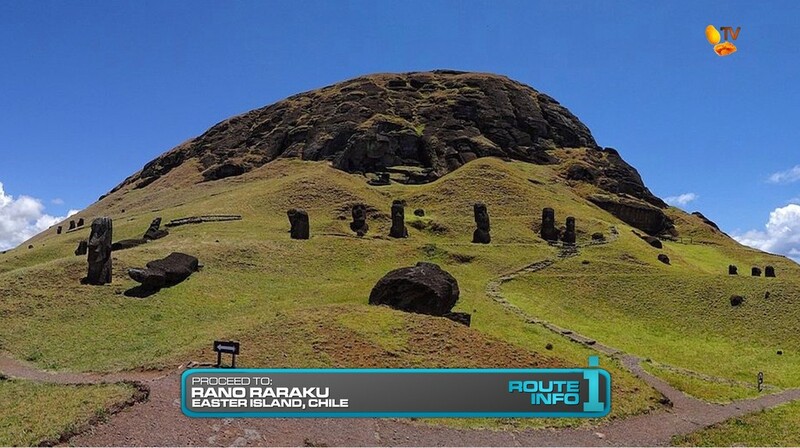 And that final clue of the Leg directs teams to run to the Pit Stop: Ahu Tongariki, the largest ahu, or platform of famous maoi statues on the island. The winners of this Leg of the Race will win P100,000 courtesy of Shell V-Power Nitro+. The TARPHDME tradition of having at least one new-to-the-franchise destination continues with a visit to Easter Island! I really like this Leg. It’s a tropical Leg with lots of culture, but also very physical as well. Plus, there’s also lots of gratuitous skin (from both the teams and the locals!) that will attract some casual fans (and voyeurs). I’m most interested in the triathlon-like Tapati Festival events. I actually threw together stuff from different events because the rowing and banana carrying are good physical tasks. But I definitely liked that hill sliding thing which reminded me of TAR20’s final Road Block. Apparently, the real “haka pei” event is really dangerous and definitely more so than TAR20’s sliding task. But it can definitely be modified and take place on a smaller hill to make it safer and more like TAR20’s.